Protector Lamp have been making miners lamps for coal mining at their factory in Eccles since 1873. We sell spare parts, fully refurbished lamps and we carry out miners lamp repairs and servicing on site. We have designed and supplied safety lamps for the Olympic Torch Relay and Holy Fire transit for the last 30 years. We hold a huge stock of spares for Protector Lamp’s and we offer miners lamp repairs and servicing. Led cordless cap lamps for mines and quarries in the UK and overseas. The GR6S Garforth coal mining lamp is the approved method of checking for firedamp in all UK coal mines. Mining lamps also known as the Eccles or Davy Lamp, are based on the Sir Humphrey Davy principle. They have been in constant use in coal mines since 1815 replacing candles and other open flames which were the cause of so many explosions. Protector Lamps have carried the Olympic Flame for Olympic and other torch relays over the last 30 years. Protector Lamp designed and manufactured The Type 6 miners lamp used for gas testing in coal mines. The lamp will safely burn methane/firedamp without causing an explosion. It is also used to test for carbon monoxide referred to as Black Damp by coal miners. All miners lamps date their history from the invention of the Davy Lamp in 1816. It is a development of our earliest safety lamps, first made in 1873. They incorporate the Protector self extinguishing system. This was developed and patented by Joseph Prestwich, the driving force of the company in the late Victorian period. It was tested and approved for use in mines in the 1940’s. Following Nationalisation in 1947 it became the approved lamp for all UK Coal mines operated by the Ministry of Power under the Labour Government. As the State did not want to create a monopoly supplier they also introduced lamps from Wolf and Thomas & Williams. Protector Lamp is best known as a producer of miners lamps.The flame safety lamp is essentially a highly sophisticated form of oil or spirit lamp of extremely robust construction. 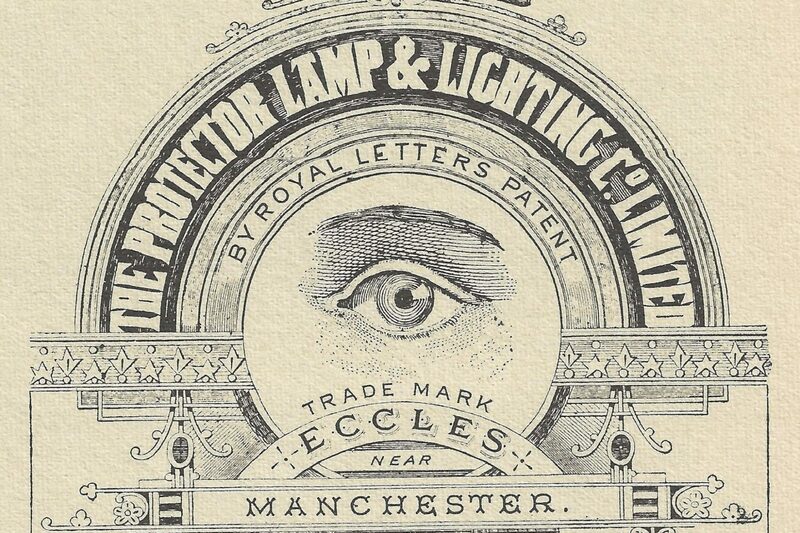 The Protector Lamp & Lighting Company was formed in May 1873 to acquire the business and patent rights of William Edward Teale, oil and lamp manufacturer, of 11 Mark Lane, Manchester. The Company’s Memorandum of Association mentions two patents which had been obtained by Mr Teale: one dated 15th November 1869 for ‘Improvements in Mining Lamps’ and the other dated 4th December 1872 for ‘Improvements in Guards for Gas Lights, and in an improved method of Lighting while under the protection of Guards’. A safety lamp is any of several types of lamp that provides illumination in coal mines and is designed to operate in air that may contain coal dust or gases both of which are potentially flammable or explosive. Until the development of effective electric lamps in the early 1900s miners used flame lamps to provide illumination. Open flame lamps could ignite flammable gases which collected in mines, causing explosions and so safety lamps were developed to enclose the flame and prevent it from igniting the surrounding atmosphere. Flame safety lamps have been replaced in mining with sealed explosion-proof electric lights.